Leaves' Eyes – Official Website » LATIN AMERICA – FINAL DATES! LATIN AMERICA – FINAL DATES! 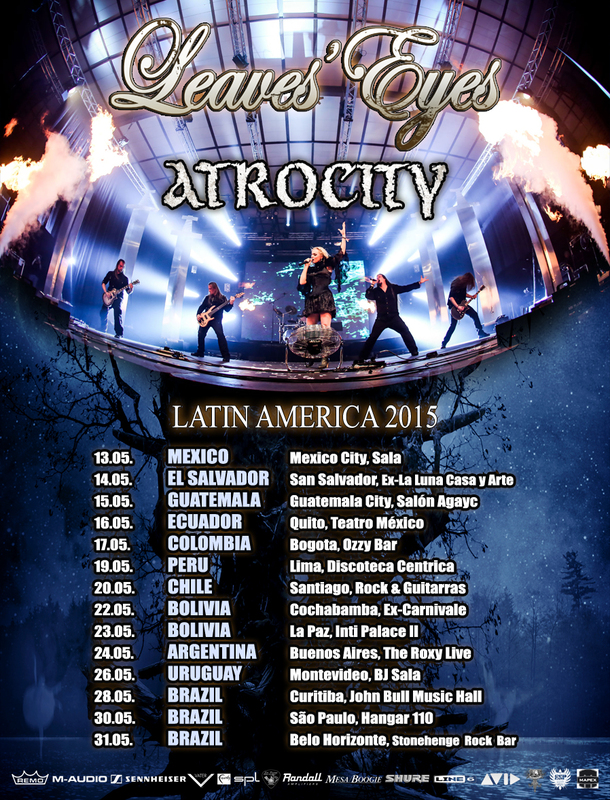 We are more than happy to announce the final dates of the LEAVES’ EYES Latin America tour together with ATROCITY in May 2015 including more dates and Brazil on the touring schedule! The countries confirmed are Mexico, El Salvador, Guatemala, Ecuador, Colombia, Peru, Chile, Bolivia, Argentina, Uruguay, Brazil. Stay tuned for more updates and trailers!